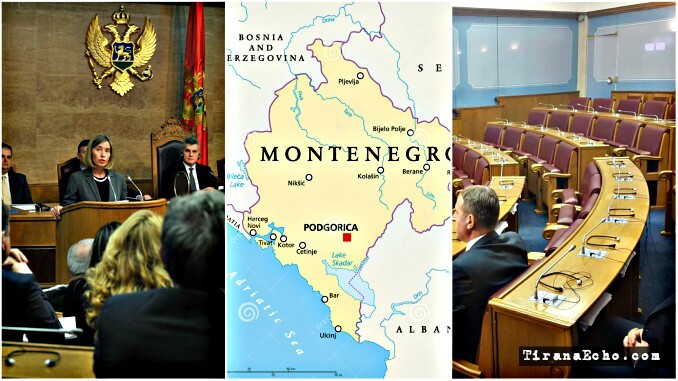 PODGORICA, Montenegro | Tirana Echo – The EU High Representative Federica Mogherini visited Montenegro today with the opposition boycotting its keynote speech at the national Parliament of the small Balkan nation. 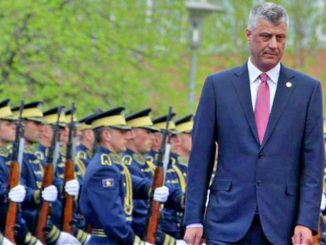 Mogherini started her short ‘Western Balkans Six’ tour with Montenegro hoping to give a boost to the country’s Euro-Atlantic credentials which only a few months ago got an invitation to join NATO, amid fierce opposition from Russia and its pro Serbian sizeable part of the population. During Mogherini’s speech at Montenegro’s Parliament opposition parties boycotted the special session with MP’s of Democratic Front (DF), Demos, the URA Civic Movement and Socialist People’s Party (SNP) deciding not to break their parliamentary boycott, although the EU High Representative and Vice President of the European Commission was hoping for a public show of unity on her visit to Podgorica. “Although many seats are empty today – and I wish the opposition had accepted my invitation to have an exchange of views here because I know the support to the EU integration in Montenegro goes well beyond party lines. I really hope that my message can be heard by all the people and the parties of Montenegro, not only those who are here with us. It is a pretty straightforward message: that the European Union cares about the Western Balkans and Montenegro, that our door is open, that we imagine and want a common future for all the people of this continent, joined inside our Union. And I know that the people of Montenegro also imagine and want a common future inside the European Union. Beyond party lines” – said Mogherini during her speech at Montenegro’s Parliament. 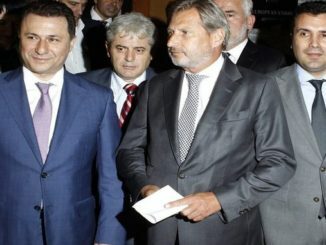 The EU top diplomat goes to Macedonia today where President Ivanov has just refused to give a governing mandate to social democratic leader Zoran Zaev, further deepening the political crisis in the ethnically divided Balkans country. 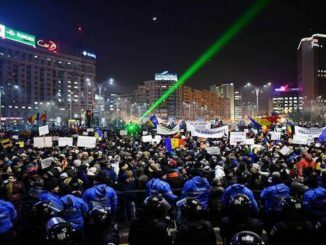 On Firday, Mogherini will visit Albania where the opposition is in its 13th day of parliamentary boycott as well and protesting in Tirana’s main boulevard demanding the resignation of prime minister Edi Rama and the formation of a technical government ahead of the June general elections. 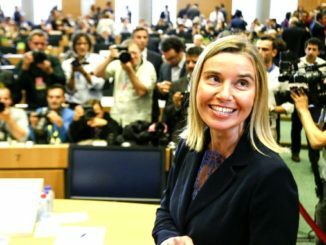 Mogherini hopes to give a fresh impetus to bids by Albania, Bosnia and Herzegovina, Kosovo, Montenegro, Serbia, and Macedonia to join the European Union, despite enlargement fatigue and an increasingly skeptical union which is currently struggling to handle the departure of the UK, rise of populism and several national elections in key member states like the Netherlands, France and Germany.